Every man goes through certain milestones in his life, such as getting married, having kids, etc. However, there were milestones that you had to go through when growing up as well. Of these, one of the most notable is likely when you shaved for the first time. The first time a guy shaves is a big step, and if you want to make sure that your own son has the best experience possible, you may want to consider buying the best razor for first time shaving. Shaving for the first time is exciting, but as we all know, it can also seem quite daunting when you put that blade to your skin for the first time in your life. No one’s first shave is perfect, but having a quality tool to guide you through the process can make the whole thing a lot more enjoyable for everyone. There are a lot of products out there competing to be the best electric razor for first time shavers, and here are the 5 absolute best ones. The Philips Norelco OneBlade has been getting a lot of attention recently, and that’s for good reason. The OneBlade might look like a boring razor at first glance, but there’s a lot more than what meets the eye with this one. Philips’ OneBlade is an electric razor, but it retains a body that’s compact and manageable for just about anyone. You can easily shave hair of any length with this thing, and the click on combs make it easy to shave at any desired length. Better yet, the dual-sided blades found here make it easy to edge up hair for adding that finishing touch. The OneBlade lasts for about four months with its included battery, and this is with a full shave two times per week. The sheer performance of the OneBlade is what makes it so enjoyable to use, and along with that, it’s also dead simple. Turn it on and shave. It’s as simple as that. If you want to pick up the best electric razor for a teenage boy, the Philips Norelco Electric Shaver 3100 is an easy buy. The 3100 might not be as new or flashy as the OneBlade, but it’s equipped with a ton of power and function for not a lot of cash. One of the most notable features here is Philips’ Comfort Cut Blade System. This equips the 3100 with rounded edges, and because of this, you’ll get a very smooth shave to help cut down on skin irritation and hair tugging. Also present here are 4-direction Flex Heads, and the way that they flow over the natural contours of your face and neck is crazy good for this price. Something else that’s greatly appreciated is the one-touch open system, as this makes it dead simple for cleaning the 3100 after a few sessions. Click here to read more about Philips Norelco Electric Shaver 3100 on Amazon. Another solid buy for the best electric razor for teenage skin is the Braun Series 3 310s. Braun has established itself as one of the most trusted brands in men’s grooming over the years, and the Series 3 310s is a great place to start for your son that’s getting ready to shave for the very first time. The Series 3 310s is packed with three main pressure-sensitive elements that help to cut down on skin irritation as much as possible during the whole shaving process. The shaver can be used both wet and dry, and it’s waterproof for up to five meters of what if you want to submerge it for whatever reason. Braun designed the body of the 310s to be easy to hold onto and get a solid grip on, and the two rechargeable NiMH batteries offer a lot of use before needing to top up. The foil head does a great job at moving over the face’s natural contours, and it manages to cut through even the thickest of hair without tugging at it or causing pain for the skin itself. Click here to see Amazon’s current pricing on Braun Series 3 310s. Our last two picks come from Gillette, and just like Braun, this is one of the most well-known brands when it comes to grooming and shaving. The Fusion5 ProShield Chill is Gillette’s highest-end manual shaver on the market right now, and although it can get rather costly with refills, it’s a fantastic place to start to ensure that your teen has as smooth and comfortable of a shave as possible. Gillette injects lubrication above and below the blades to provide for the smoothest shave possible, and this helps to shield the skin from any possible irritation. Better yet, the cooling agent cools skin down while cutting hair at the same time. The Fusion5 is Gillette’s thinnest and finest blade to date, and it means that you won’t find any tugging or pulling on the hair at all. Combine this with the moving head that allows the blade to follow contours of the skin, and you’ve got one powerful little package. Click here to view Gillette Fusion 5 Razor on Amazon. The other Gillette razor that we want to talk about is the ProGlide Men’s Razor Styler. 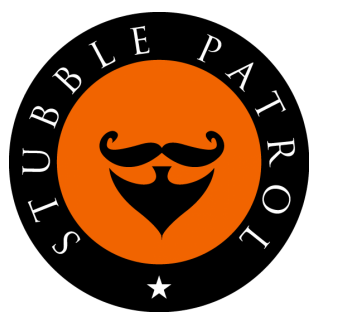 This goes beyond facial hair shaving, and it’s a fantastic tool to get your teen started with proper shaving and grooming. When it comes to shaving, the ProGlide uses Braun technology to offer a super smooth and comfortable shave no matter what kind of hair you’re working with. There are a few different combs that help to have full control over your shave no matter what, and you’ll also find Gillette’s Fusion blades that help to get close to the skin for a smooth feeling every single time. You also have access to an edger for precision cuts, and the included organizer does a great job at keeping everything stored away and in place. Click here to see the pricing for the Fillete Fusion ProGlide Razor on Amazon. 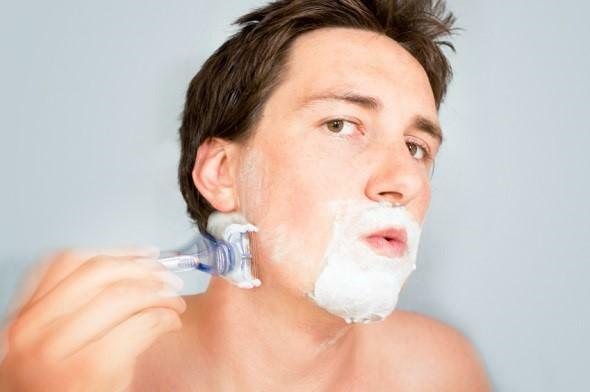 The product that is the best razor for first time shaving will ultimately come down to what your son wants and what type of skin they have, but the five razors mentioned here should be the best places to start for most people. Shaving for the first time can be scary, but it doesn’t have to be with the right tools.